How we can contribute constructively to political discourse when we may disagree. 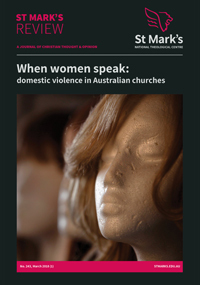 The response of Australian churches to the recommendations of the Royal Commission into Institutional Responses to Child Sexual Abuse. 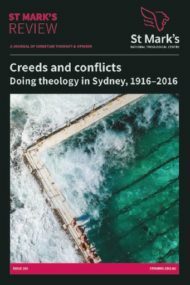 Articles in this issue come from an ongoing conversation among scholars who have connections to Canberra and work in theology, anthropology and history. This issue looks at the single most influential book in Australia's cultural life and its immeasurable impact, past and present.